One of the earliest privacy-centric altcoins was Zcash (ZEC), which was introduced in 2016. It remains one of the more popular privacy coins, thanks to its developers introducing the concept of zero-knowledge proofs called “zk-SNARKs,” which allows Zcash users to transact without giving away their personal information or identities. Even though Zcash uses a public blockchain, the zk-SNARKs feature offers an optional privacy setting that can conceal the amount of the transaction, as well as the sender and receiver. 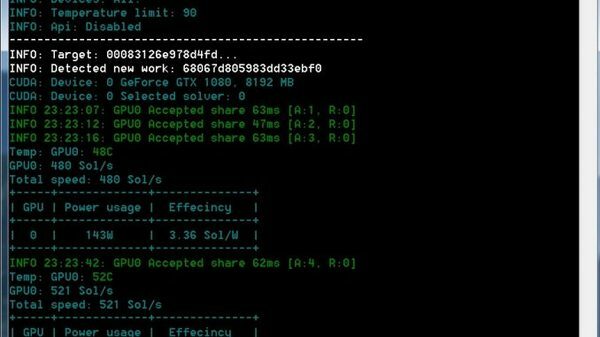 Zcash uses proof-of-work as its consensus mechanism, and through this, miners create new coins every 2.5 minutes. The algorithm it uses is Equihash, which is the same algorithm used by Bitcoin Gold, Bitcoin Private, and Komodo. Equihash was initially chosen for its resistance to ASIC (application-specific integrated circuits) mining rigs, but that is no longer the case, and since late 2018 ASIC miners have dominated Equihash. Miners can still acquire some Zcash by using mining pools. With all that in mind, let’s learn how to mine Zcash. 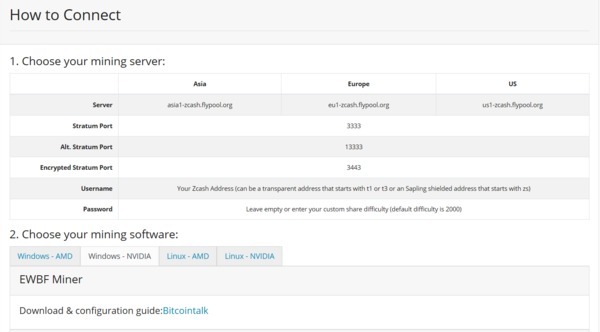 The first thing you need to mine Zcash is a wallet address to store your coins. The official Zcash wallet is a great choice, but it only supports Linux, so may not be appropriate for everyone. If you need something for Windows or Mac OSX, the most secure choice is a hardware wallet like the Ledger or Trezor. Other options include the Jaxx Liberty, Exodus, or the zec-qt-wallet, which is a full node wallet for Zcash that runs on Linux, Windows, and macOS. 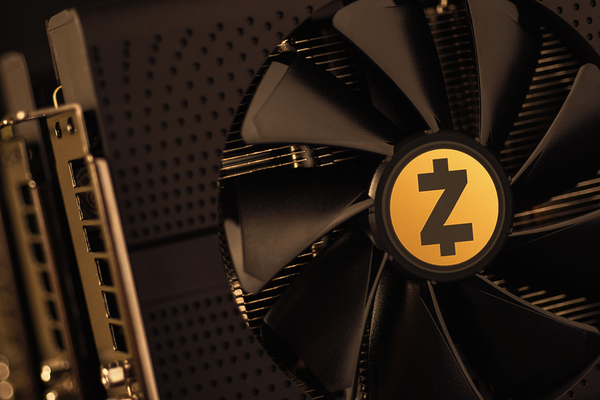 You can also mine Zcash directly to an exchange wallet, but we only recommend that option if you’re planning on converting the ZCash to another currency. Be certain the exchange supports ZEC. The most recommended mining software for Zcash is EWBFs Cuda Zcash miner. Download it, and if necessary, install the latest version of Cuda (update your Nvidia GPU drivers to the latest version). If you are using Windows, you’ll also want to make some changes to your system settings to avoid interruptions to your mining. 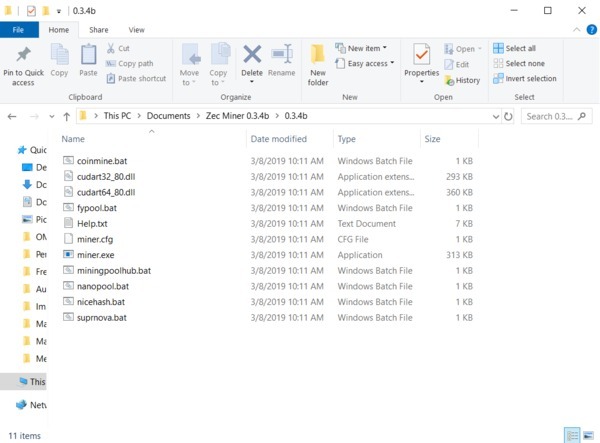 For the smoothest mining experience, be sure to add exceptions to your anti-virus for the Zcash miner folder and any other files that might get flagged. It’s also a good idea to disable sleep mode if you don’t want mining stopped every time your computer goes to sleep. Finally, disable automatic Windows updates that can reboot your computer. Since ASICs now work for Equihash, it isn’t practical to solo-mine Zcash. You need to join a mining pool to find success. To see which mining pools have the best features close to you, check out this list. Once you locate a good pool, click on it and you’ll see specific instructions for configuring the miner to connect to the pool. Most important is to note the settings for the .bat file in the EWBF miner. You will need to create a .bat file for many of the mining polls, but the EWBF miner already has .bat files for Coinmine, Flypool, Miningpoolhub, Nanopool, Nicehash, and Suprnova. You will need to add your wallet address no matter which mining pool you use. The .bat files can be modified by right-clicking and opening with Notepad or another text editor. Once everything is set, double-click the miner.exe file and a command window will open showing your mining progress. Don’t miss any of our future updates. 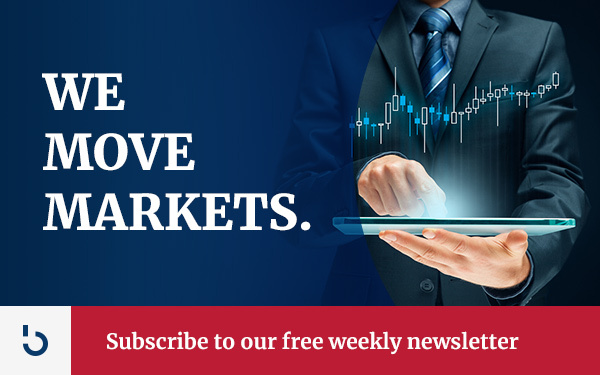 Subscribe to Bitcoin Market Journal now for the best unbiased bitcoin and blockchain information.